At Groupe AZ Extermination, our specialists respond quickly and inform you over the course of each step in the extermination of insects and vermin. Familiar enough, we recognize the honeybee Apis mellifera and his yellow striped black hairy body and his slightly marked size. 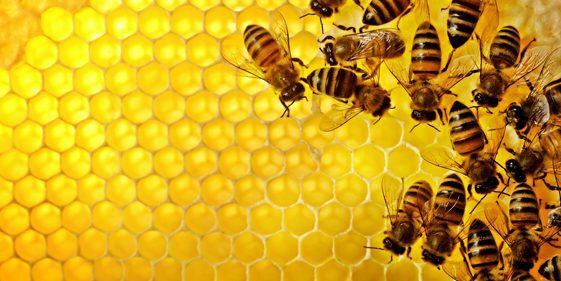 The species (Hymenoptera) which belongs to the same order as wasps, bees and ants is divided into three groups: the queen, workers and drones. The queen can be between 1.5cm to 2cm and is the only breeder. The workers are only about 1.2 cm; they visit flowers ensuring the development of the swarm, the colony or hive. Drones are male: they ensure the reproduction of the species and fertilize the queen. This insect feeds on honey and pollen nectar. The worker only has a sting, a loan to sting sting to defend the integrity of the hive. There are some familiar insects that inspire much sympathy to men in general. The fact that they produce honey has a lot to do with it. We also know that these insects are extremely important for the pollination of flowers and therefore fruit trees and other plants we eat. It laments to see their demise probably due to some chemical fertilizer applied to crops. Exterminators do everything to move without threatening exterminate swarms (IPM policy). A swarm in a tree or under a roof cornice may be 20 000 to 80 000 individuals. This often requires the utmost fear and a “potential bites” that no one wants to manage. 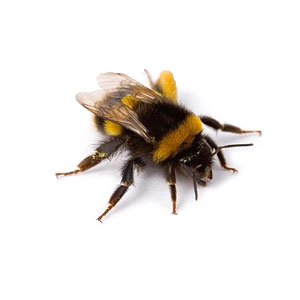 Although these insects are known to do that sting when they feel threatened and / or their nest is in danger, the bee’s sting is painful and can cause severe allergies. Exterminators will identify 100% the nature of the insect which the swarm has settled in the palm of your tree and give you the most appropriate advice to the situation. If it is a swarm hanging from a branch, there is a good chance it will leave by itself. Keep calm, comfort the person who is bitten, observe the bite: it causes redness, it heats up and the stitched area also began to swell, all this can be very painful. These reactions are normal even though this may seem alarming: it will subside and disappear within hours or days. Apply cold compresses and take acetaminophen (pain medication). However, if local reactions are very large or accompanied by fever or local infection, see a doctor or call 911 if necessary. How To Remove A Honeycomb? Eliminate a self nest or use traps commercially is always risky. Follow the manufacturer’s instructions. Even better, entrust this task to professional extermination. Do not wait to be infested! For the extermination of bees, call Groupe AZ Extermination. The professional inspection is free, effective and very fast. Call 514-381-3555 now!